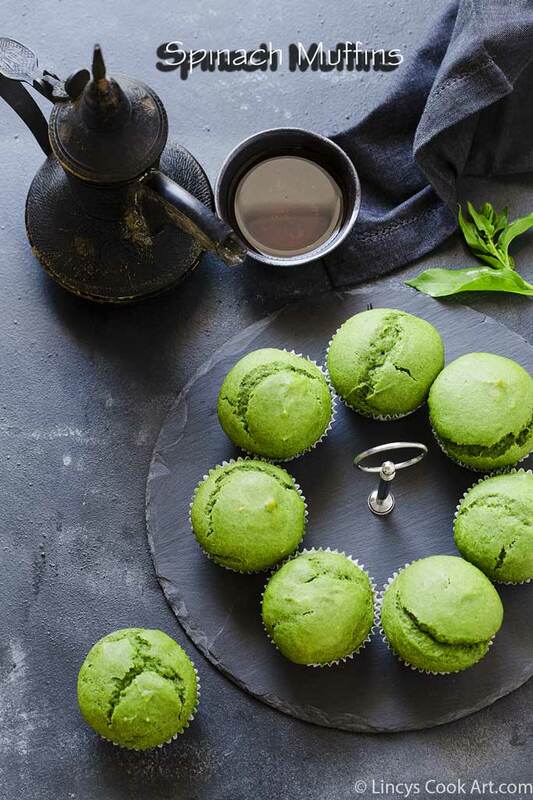 Spinach Muffins| Spinach Banana Muffins| Popeye Muffins| Green Muffins- My kids favourite colour is green, if you give ask him for choices for any thing with colour he choose only green till now. Even for his dance class he asked the satin ribbon in green colour. For toys too if he gets colour choice he choose always the green one. But donot know his tastes and liking changes as he grows like wise this also change one day over a period of time. So to surprise him i made these yummy healthy muffins. 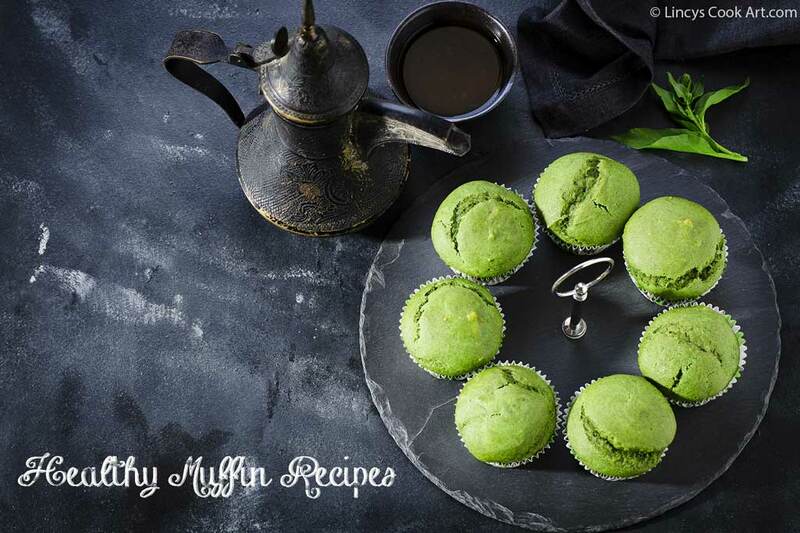 I loved these yummy muffins and really happy with the taste and the texture. He did not liked much as he did not like the banana flavour in it. Planning to make another version with other combination with spinach to exclude banana and have to make as per his likes.Otherwise he ate one or two. I have not added nuts init as he does not like any nuts or dry fruits in cakes and muffins. Husbands suggestion was if i have added some nuts in it it would have tasted even more better with nice crunchy texture. I know that before but purposefully avoided for my kid. But you can add nuts or chocolate chips of your choice. Preheat the oven to 180 degrees to 10 minutes; Meanwhile start preparing for the muffins. In a blender jar add the granulated sugar and powder well; In bowl or on the same blender jar add whole wheat flour, all purpose flour, baking powder, baking soda, salt,cinnamon powder and mix well with spoon or just run the blender once. In a mixing bowl transfer the spinach banana mixture and then gradually add the dry ingredients little by little without lump formation. If you wish add some nuts, dry fruits or chocolate chips half a cup. Fold the mixture together and line the muffin tray with paper liners or spray the tray with oil and fill the tray with the batter and transfer to the oven. Bake the muffins for 15- 20 minutes till the skewer inserted on the centre of the muffin comes out clean. You could replace milk with one or two eggs for more taste. You could use whole lot wheat flour or all purpose flour or add some oats or bran too for this recipe. Refer my other muffin recipes for choices and proportions.